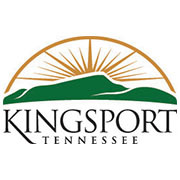 Visit Kingsport and the City of Kingsport will officially launch the Kingsport Selfie Trail. An estimated 24 billion selfies are uploaded each year and selfie trails are popping up all over the United States, attracting lots of use by visitors and communities alike. The Kingsport Selfie Trail was developed as a Community Impact Project through the 2017 Leadership Kingsport class. Members of the team included Zach Hamilton, Jenny Kontos, Jason Phillips, Scott Pierce and Janessa Sokol. Kingsport’s Selfie Trail includes 10 locations (and one optional location for the ultra-adventurous type). Locations vary between parks, historical sites, downtown culture and other fun photo opportunities. Participants are encouraged to download the FREE Visit Kingsport app to view the Selfie Trail Map or they can visit CaptureKingsport.com. The Selfie Trail can be completed in as few as a couple hours or can be stretched out over multiple days and is designed for everyone – all ages, visitors, and residents. A little rusty with the selfie concept? -The Selfie Trail is designed to guide you through every step of the way. Selfie Spots are marked with a vertical sign marker as well as a decal, located on the ground. The ground decal markers include foot prints for proper footing for the best angle for the perfect shot. All graphics were designed by Community Impact Project Team Member, Jenny Kontos of Kontos Creative. The community is encouraged to upload their selfies to social media (Facebook, Twitter, Instagram) utilizing #CaptureKingsport. Mayor Clark is challenging individuals to complete the selfie trail by offering a FREE Centennial t-shirt to the first 100 people to capture, post and tag selfies with #CaptureKingsport at all 10 locations on the trail. Participants are asked to bring their mobile device to the Kingsport Chamber (400 Clinchfield Street, Downtown Kingsport) Monday-Friday 8am-5pm and show their 10 selfies to the staff in order to receive their shirt. Celebrating the Kingsport Spirit, the park provides a unique destination and link to downtown Kingsport that commemorates the community’s past, present and future. A favorite destination for walkers, runners and cyclists, the paved trail stretches over 8 miles and has numerous access points across the city. The city’s memorial park in honor and memory of the community’s military veterans. For more information, please visit CaptureKingsport.com.